"The Japanese treat them better now, simply because they came to realize that the Ainu were a valuable curiosity worth preserving. There was no kindness or sentiment in it—none whatever. They quit trying to exterminate this shattered relic of a dying Caucasian race when visitors with money to spend began coming from all over the world just to see and study them. 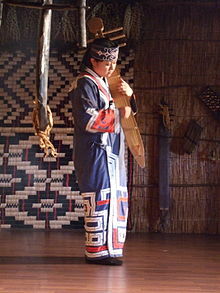 If today the Ainu are protected wards of the Government, and if the Government has paid me any honor, it is not because of a change of heart on the part of the Japanese; it is only because the Ainu became worth something to Japan."